TT: Let’s Have A (Political) Party! If you’re looking for the Wednesday Wandering, just page back for a drama in a few lines about how I met author Tamora Pierce. Then come back and help Alan and me discuss the differences between our various systems of government. 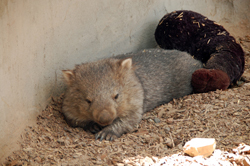 minister who said “Wombat!” What happened with the rest of his career? Was his wit enough to keep him in office? ALAN: Sadly, despite David Lange’s personal popularity, the party policies were such that he was eventually forced to resign from office. A caretaker Prime Minister took over and the party was soundly defeated in the next election. JANE: So the change wasn’t enough to save the place in power for his party? ALAN: Not really. An election was just about due anyway, but by that stage the party was pretty much unelectable, having shot itself in the foot (or possibly even blown its whole leg off) far too many times. By the way, what’s a caretaker Prime Minister? ALAN: Someone who takes over simply for the sake of having a warm body hold the office while an election is organized. The election may be called because it is due, or it may be called because the government feels it no longer has a mandate to govern. Either way, there simply isn’t time for the new Prime Minister to do anything significant. Of course, if no election is called, the new Prime Minister just takes over and normal service is resumed immediately. Our first woman Prime Minister took office as a result of a palace coup and Australia’s current Prime Minister took office in the same way. JANE: “Palace coup?” Wait! Time for a language lesson. You don’t have palaces anymore, do you? ALAN: These days, that’s a metaphorical phrase rather than the literal one it probably once was. What actually happened in this case was that the Prime Minister went overseas on a state visit. While he was away, a party vote was hurriedly arranged (remember the Prime Minister is simply the leader of the governing party, and is chosen by the governing party). When he came back from his trip, he discovered that he wasn’t party leader or Prime Minister any more. As I recall, he got quite grumpy about it. They placated him by making him New Zealand’s Ambassador in America, a plum diplomatic appointment. He held the post for many years and was, by all accounts, extremely good at it. JANE: My brain hurts… All this about a government feeling “it no longer has a mandate to govern” seems more alien to me than most SF alien cultures. Who would organize an election that might get them thrown out of office? How can a government function knowing that an election might happen any old time? ALAN: I find it impossible to conceive of a government that wouldn’t do that! How can a government govern effectively without a mandate? When the people vote for a government, they are voting for a set of policies. If the situation changes radically and the policies can no longer usefully be applied, then there is no longer a mandate to govern. In practical terms, the government may not even be able to pass legislation any more as opposition grows even within its own rank and file. It’s effectively hamstrung. So what other choice do they have? JANE: Can’t they just change their policies? ALAN: Not significantly, no. Radical policy shifts just empower the opposition parties. Indeed such policy shifts may actually be the policies of the opposition parties! No government could survive that degree of ridicule, either. In such circumstances, any sensible government will always call an early election, even if only as a cynical exercise in self-preservation. If they didn’t do it, they’d almost certainly make themselves unelectable for a decade or more until the scandalous memory of it died down. No politician relishes the thought of exile in the political wilderness. Better to be defeated with honour and leave yourself room to come back at a later election. JANE: Does it happen often? ALAN: It’s not common, but it has happened on several occasions in my lifetime. Perhaps most notably in 1984 when the then Prime Minister of New Zealand, Robert Muldoon, called an early election following a financial crisis that left the New Zealand dollar dangerously weak. Mind you, he was noticeably drunk at the time, swaying and slurring his words when he announced it. JANE: Oh, boy. You’ve mentioned before how straight-laced Americans are regarding drinking. Here, this would have ruined not only his career, but that of a lot of his associates as well. JANE: What was the result of the early election? ALAN: Muldoon’s National party was dismissed from office and the Labour Party under David Lange (he of wombat fame) took over the reins of government. So in retrospect, Muldoon probably regretted the drunken impulse that led him to call the election. But it’s easy to be wise after the event. JANE: And the moral is: don’t drink and drive. Err… govern. Or there’s a time and a place for everything or something. ALAN: My knowledge of the American system comes from reading American novels and watching American television. They probably have built-in cultural assumptions that I don’t share. Certainly they’ve left me with a question I’d like to ask you about the political system in the United States, but I’ll hold it over until next time. This entry was posted on May 10, 2012 at 1:00 am and is filed under Thursday Tangents. You can follow any responses to this entry through the RSS 2.0 feed. You can leave a response, or trackback from your own site. Wouldn’t it be neat to have leadership ability be something that could be measured and quantified. I wonder if anyone has tried to figure out what makes a good leader — and how to balance against the idea that different times need different people.